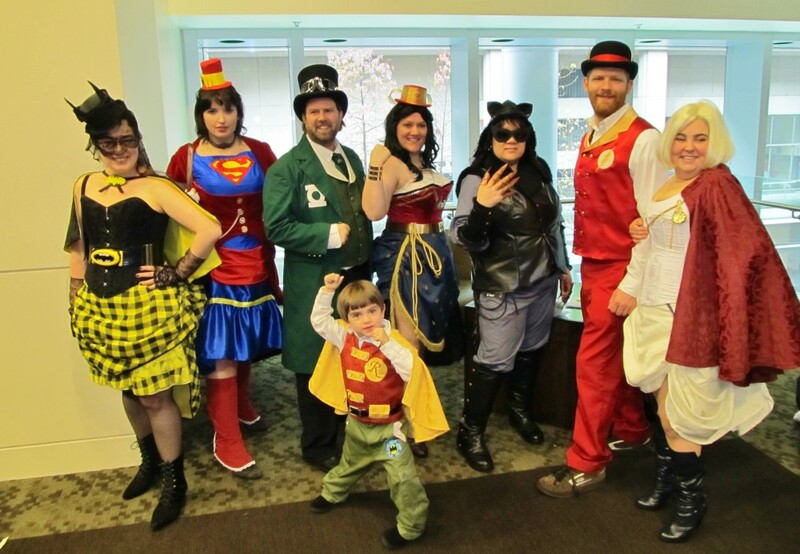 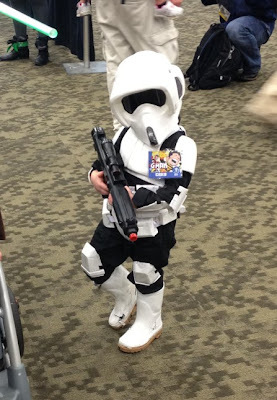 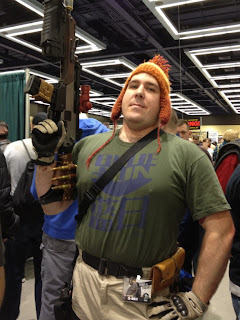 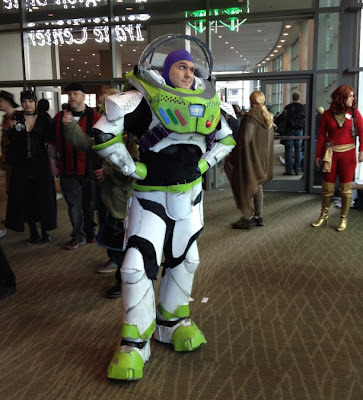 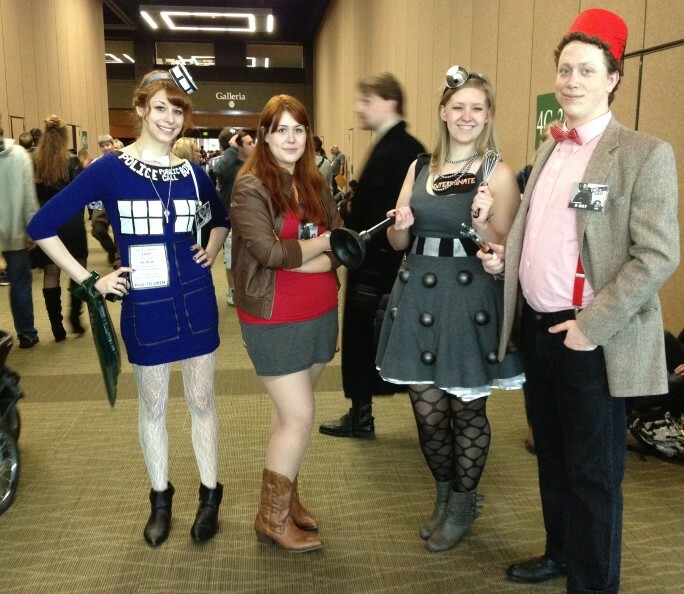 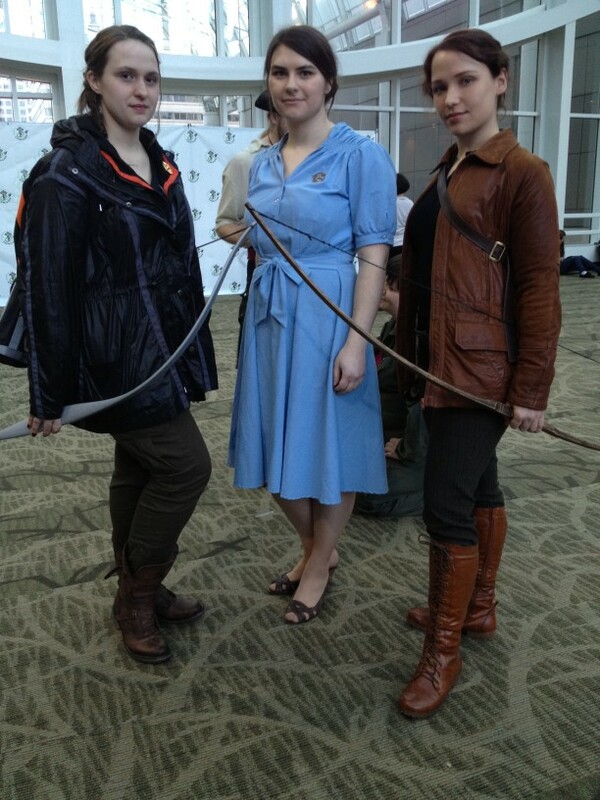 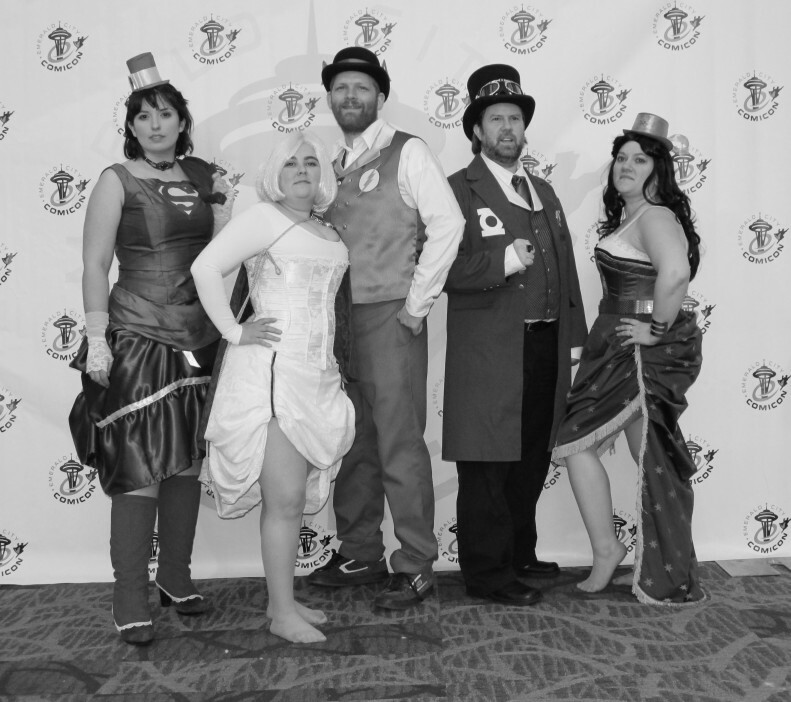 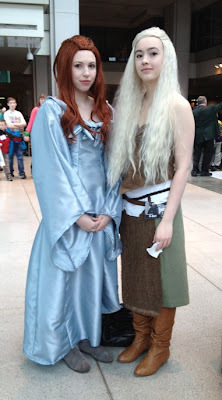 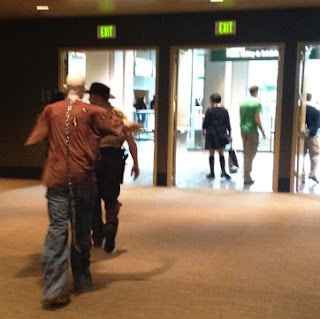 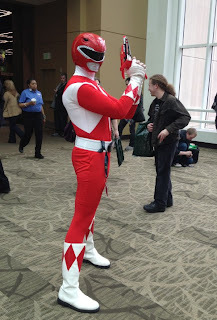 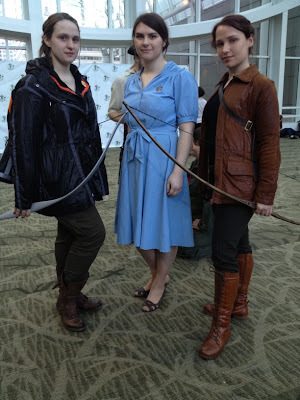 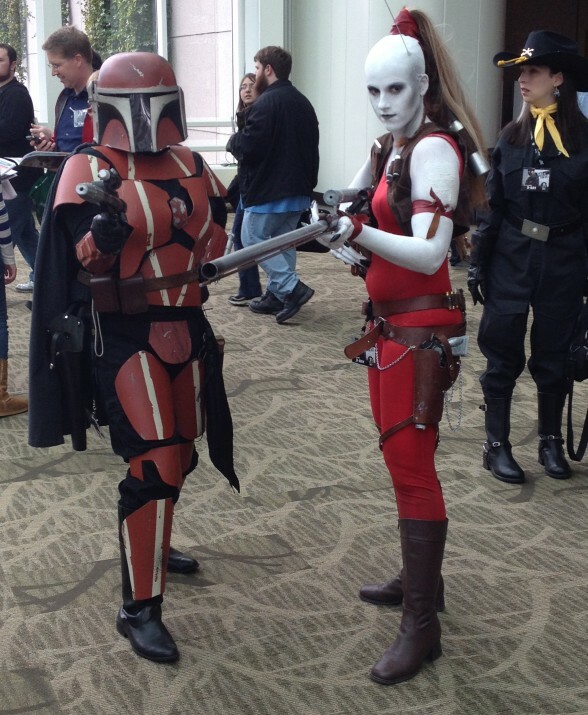 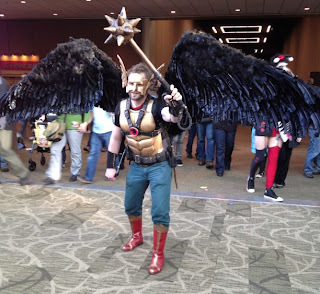 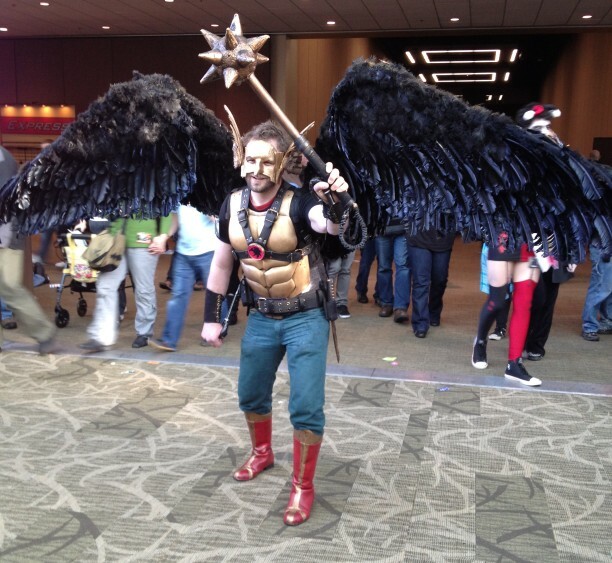 In the year of 2012, thousands gathered at Ye Old Washington State Convention Center to partake in the annual event dubbed the "Emerald City Comic Con". Wait, what century is this? A case of mistaken identity or just two poor men who lost their parents? 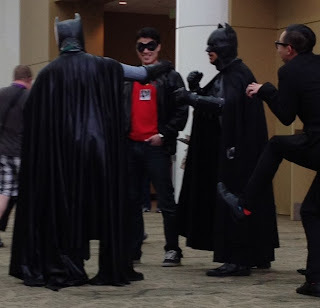 Another case of the multiples... there is some debate over what to call this: Katnisses or Katni? 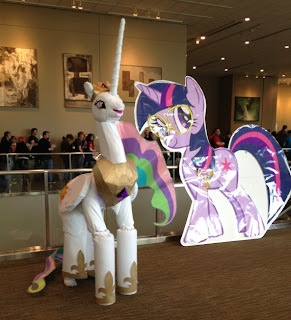 Or more uncomfortable than this. 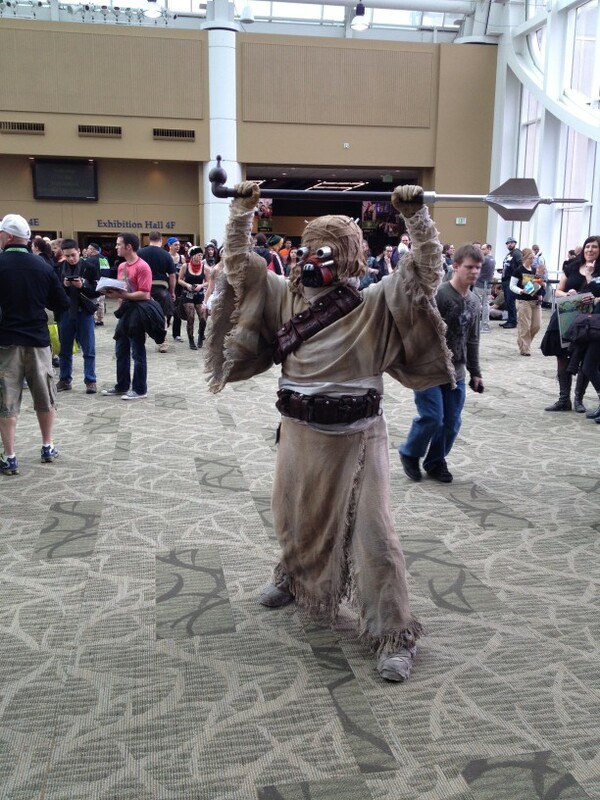 This is the part where the Tusken Raiders took over the sky bridge. 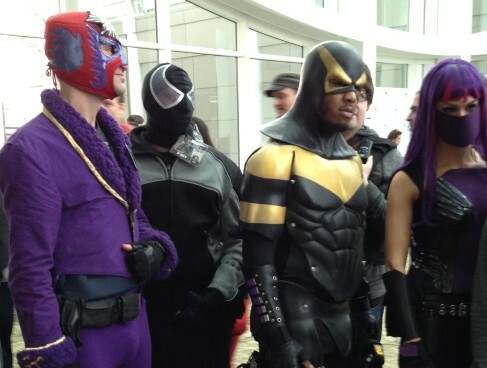 Phoenix Jones and the Real Life Superheroes had to get involved. 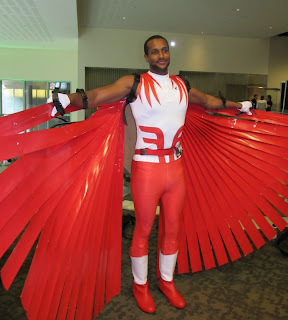 And the Red Power Ranger. Rick almost got eaten by a zombie. ...after I finished my sandwich. 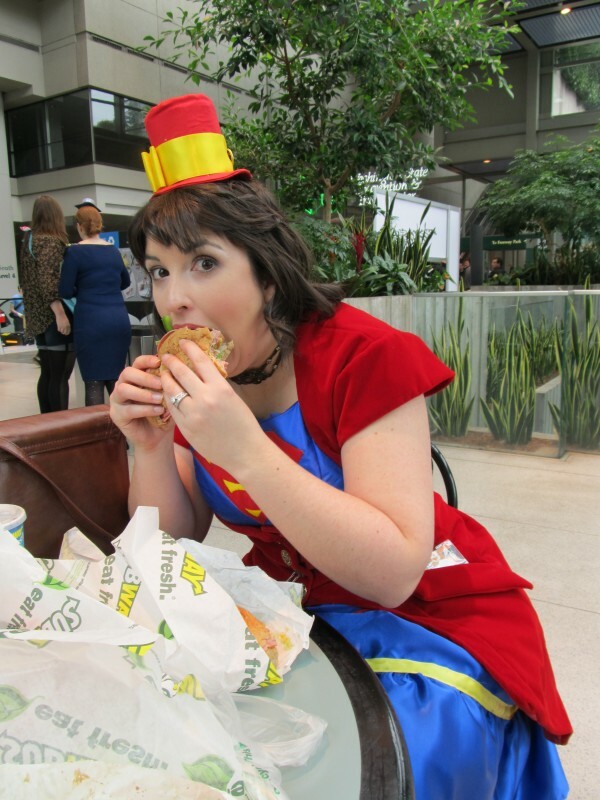 (ah, Subway, the (un)official food of ECCC and PAX).